"Go for it! Kids need you." - People Places, Inc. Although becoming a foster parent can be an adjustment, Sara shares why she does it and what makes the journey worth it. “The most rewarding part is knowing they are happy and healthy and especially when they appreciate being with you,” she said. Sara and her husband, Brian, love to stay busy with their children. Some activities they do as a family include: camping, going to the beach, hunting, fishing, going out to eat (Chinese in particular), visiting grandparents, and going to church. “I love the house being full of kids. I love them with all of my being,” Sara said. 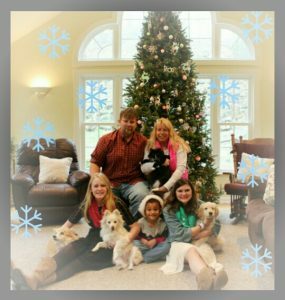 She goes on to express her hopes for her foster children as they exit foster care; “I hope that I can help shape them into good Godly people for the future, that when they leave our home they will succeed.” Brian expressed excitement over watching them be successful in life.